As I already hinted, the future is here. Brought to you by Otto Bock Healthcare. This robotic leg will change the pathetic lives of any above-knee amputees. It supports life-like movement, bluetooth connection for programming and 10 different built-in walking programs. 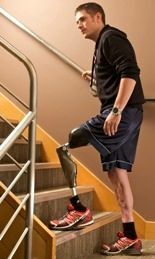 Amputees can now climb stairs and even ride a bicycle! 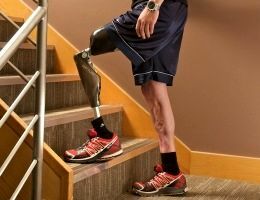 This is not exactly regeneration, but at least this brings amputees back into the society and adds some common everyday pleasures, that were abruptly removed from them by the unlucky event of they lives.